Lignano Pineta, one of the most charming seaside resorts in Friuli Venezia Giulia, lies in the northern part of the Gulf of Venice between Caorle and Trieste. 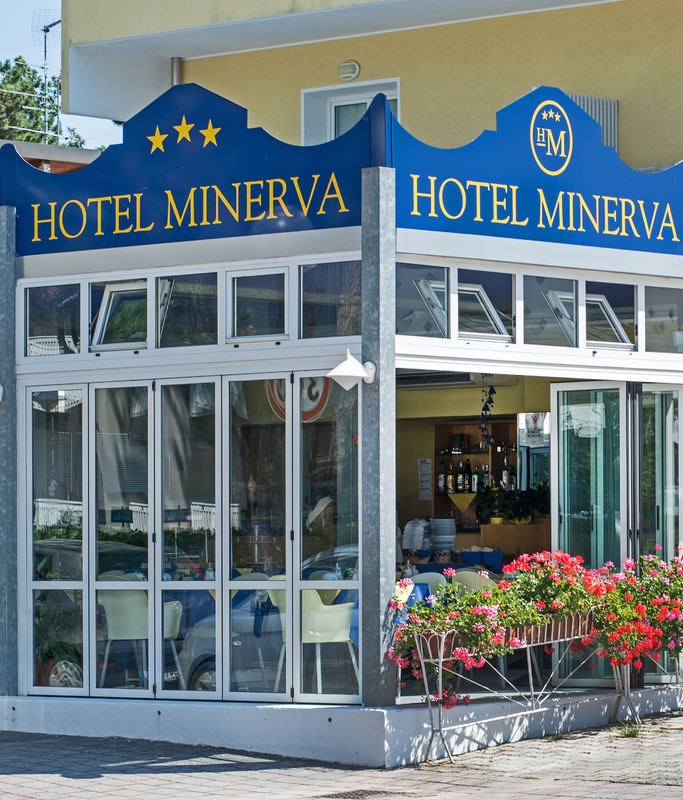 The HOTEL MINERVA lies in the heart of Lignano Pineta, a short way from the golf course and the sea. It is run by its proprietor and it offers its guests a friendly atmosphere and a comfortable holiday. Beach service is included in the price. Completely restored in 2002 as a three-star hotel, it has air-conditioned rooms with a bathroom, TV, telephone and a parking area available. A well furnished “American Bar” will offer you the most sophisticated aperitifs and cocktails. International breakfast. We look forward to making your holidays enjoyable and carefree.